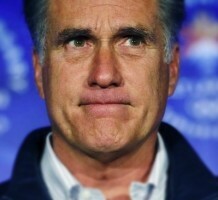 Did Mitt Romney Lie (again) in Debate, about the Healthcare Mandate? You are here: Home / We are Gulag Bound / *Resisters' Log* / Did Mitt Romney Lie (again) in Debate, about the Healthcare Mandate? Barack Obama was not truthful in last night’s first debate with Mitt Romney and one does not expect him to be. He is a long-trained Marxist propagandist, after all. Spreading lies is what they do. And so, dear visitor, I hope you don’t mind, I’m more concerned that we don’t give the next president more credence than he is due, for the next administration. So, did you notice last night that Romney said he’d pushed for Obama, Pelosi, and Reid to do the healthcare mandate, but only on a state by state basis? How does federal government even do that? It seems to defy both physics and metaphysics. Here is the debate, thanks to YouTube, et. al. Scroll on over to 1:10:32 on the video, listen through 1:11:04, and you will hear it. We won’t transcribe it all, but listen for the sentence with “state by state” in it, in whatever context Romney and time allowed. It is important to hear and see, as well as to know the words. It may require a replay or two. Does he mean he wanted federal government to mandate to the states that they each do their version of a healthcare mandate? Really? Is that somehow better? To an engineer, that may be adding a “degree of freedom,” but it is hardly what the USA is about. Here is all about what Romney really said during the time the healthcare travesty was being proposed and then how he apparently lied about his stance, in the GOP presidential debate (if he did not lie, please disabuse me). Would it not be better for a prospectively new president to tell America when was wrong, if he does believe he was wrong? Would it not even be better for that person to admit when he had lied? In the mean time, we are monitoring the work of Americans for Limited Government, which is applying sophisticated and usually telling voice analysis, to discover whether it may indicate dishonesty on the part of either candidate. They say results are inconclusive, so far, but perhaps they are continuing to run their tests (and we hope they, in turn, will be candid). Interview Availability: Please contact Rebekah Rast at (703) 383-0880 or at rrast@getliberty.org to arrange an interview with ALG Communications Director Rick Manning. Oct. 3, 2012, Fairfax, VA— A new truth detecting technology will be employed by Americans for Limited Government while watching the debate between Republican nominee Mitt Romney and President Barack Obama. Voice analysis measures the voice patterns of individuals and determines whether the speaker is telling the truth or not. It also measures the level of stress the person is under, as well as their level of concentration. The company behind the verbal truth teller is Voice Analysis Technology, and they have been hired in many high profile criminal cases including the search for the killer of Natalie Holloway, the teenager who was killed while on a student trip in Aruba. Recently, the company showed that one of former Republican presidential contender Herman Cain’s primary accusers was not being truthful when making her charges. The U.S. Department of Defense, Bureau of Prisons, the Los Angeles County Sheriff’s Department and more than sixty other law enforcement agencies across the U.S. all have contracted with Voice Analysis Technology to help them successfully interrogate suspects. Unlike a traditional polygraph which requires a suspect’s cooperation, and places numerous probes on the person’s body, voice analysis literally takes the words right out of a person’s mouth and based upon variations in speech patterns determines if statements being made are true or not with a high degree of accuracy. It is often difficult to prove that one is lying. It is essential to determine whether a man who would be president is telling the truth to the American People about very important matters and should know better. Footnote: Despite the 1 to 8 “majority” ruling of John Roberts on the Supreme Court, we here call the Obamacare taxation a mandate. It is both a tax and a mandate… “duh.” It is a mandate with taxation as a consequence. The Chief Justice may wish to play dumb, but we wish not to.